Speech at the Opening Session of the Seventh Ministerial Conference of the Community of Democracies, Ulaanbaatar, Mongolia, April 29, 2013. Despite often being labeled as one of the most complex places in the world, our region holds a great deal of potential. As Asia becomes the engine of the world economic development, Northeast Asia has huge potential for shared prosperity. However, we must also bear in mind that the situation in our home region remains delicate. Circumstances on the Korean peninsula disrupt regional integration efforts and negatively affect long-term stability. Additionally, there remains vexing historical and territorial disputes between nations. These issues have a profound impact on Mongolia. As an integral part of Northeast Asia, Mongolia prioritizes these regional concerns. It remains one of our top foreign policy objectives to not only develop and strengthen ties with our neighbors, but also to constructively contribute our share to the common well-being and security of the region. Today, more than ever, it has become imperative to resolve the misunderstandings and disputes in our region through dialogue and discussion. The Mongolian saying “A duck is calm when the lake is calm” sums up Mongolia’s broader foreign policy considerations in Northeast Asia - that is, Mongolia’s interests are best served when the regional security environment is stable. Mongolia first proposed the idea of creating a regional security dialogue in Northeast Asia in the early 1980’s. At that time, Mongolia called for an all-Asian convention prohibiting the use of force to prevent conflicts. In 2000, Mongolia started studying the possibility of a new official dialogue which led to a conference under the theme “Security Perspectives of Central and Northeast Asia: Ulaanbaatar as a New Helsinki” organized by the Mongolian Institute for Strategic Studies in 2008. 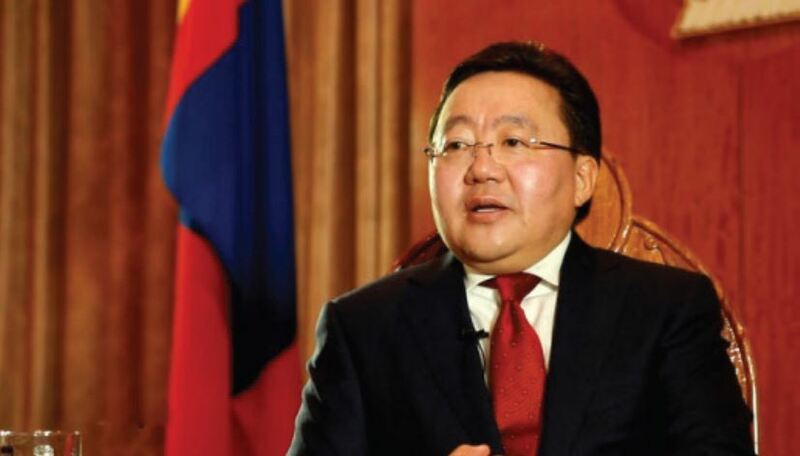 Conceived by The President of Mongolia, Tsakhiagiin Elbegdorj, the Ulaanbaatar Dialogue on Northeast Asia Security Initiative (UBD) was publicly announced during the VII Ministerial Conference of the Community of Democracy in Ulaanbaatar on April 29, 2013. Having accumulated experience in organizing multilateral events, Ulaanbaatar, the capital city of Mongolia, is an emerging international venue for conferences, and will host the OSCE Parliamentary Assembly on September 15-18, 2015 and the 11th ASEM Summit in 2016. Mongolia is uniquely positioned in the region to facilitate the economic integration, development of common infrastructure, use of energy resources, protection of environment and cooperation in fighting transnational crime. Thus, Ulaanbaatar can serve as a neutral meeting ground, literally and metaphorically, as Northeast Asia’s Geneva and can be a multilateral venue for regional security dialogue. Dialogue is an exchange of ideas directed towards the exploration of a particular subject or the resolution of a problem with a view to reach an amicable agreement through series of discussions. It is considered to be the best way to tackle problems and build confidence between conflicting nations. Demand for more active engagement and mutual trust in the region is constantly growing while the Six-party talks, the main dialogue mechanism in NEA, is yet to resume. The importance of Ulaanbaatar Dialogue lies in the implementation of a dialogue mechanism in NEA. The initiative, however, has no intention to compete or substitute the SPT. Why is a dialogue necessary for NEA security? It builds mutual understanding and trust between parties through open talks. It is an inclusive process which brings together the voices of Government officials, academics and civil society to address common challenges. It can help prevent conflicts from arising and facilitate lasting comprehensive settlements for existing conflicts. We invite our regional partners to engage in the dialogue and to debate region-wide issues of common interest. Mongolia understands that the ties that bind us can serve in the cause of peace building and stability on the Peninsula as well as in the region. To reach its goals, UBD prioritizes common interests, mutual respects, mutual trust, multilateral talks, and openness and transparency as our main principles. Mongolia, the Russian Federation, the People's Republic of China, Japan, the Democratic People's Republic of Korea, the Republic of Korea and the United States of America are the major partners of the initiative.Other parties from international organizations as well as non-regional countries are always welcome to participate in the process. Recognizing that Track 1 discussions are official, wherein diplomats and government delegates usually express and justify their official positions, the UBD is designed to focus mainly on Track 1.5 and Track 2 efforts, since UBD intends to avoid overlapping or competing with other forms of dialogues. Track 1.5 and Track 2 channels are the most effective instruments for promoting mutual understanding. Officials and politicians get together with academics and talk about security issues under the Chatham House rule which contribute to mutual understanding and greater confidence. The outcome of UBD should be formal and practical security cooperation and consultation. Female parliament members from Mongolia, Russia, China, DPRK and ROK participated in this meeting, representing their countries. The unique purpose of this meeting was to gather regional representatives and conduct discussions concerning peace and development of NEA. Furthermore, it was the first regional forum focused on the role of female parliamentarians. Mongolia hosted the ‘‘Ulaanbaatar Dialogue on Northeast Asian Security’’ International Conference with the participation of more than 35 representatives from Mongolia, Russia, China, Japan, DPRK, ROK, the USA, Germany and the Netherlands. About 120 delegates from cities across Northeast Asia participated in this regional conference. This initiative not only expanded the existing cooperation between the nations but also created new areas for cultural, industrial, economic and agricultural development. Operating under the framework of a dialogue, the Mongolian Institute of Strategic Studies (ISS), Institute of Energy and Economy and Ministry of Foreign Affairs jointly initiated and organized an international conference entitled ‘Energy Connectivity’. Delegates from six Northeast Asian countries participated and shared their opinions on creating energy connectivity in the region. Northeast Asian Youth Symposium: Ulaanbaatar Dialogue was organized by the Mongolian Youth Federation in conjunction with the Ministry of Foreign Affairs and the Institute for Strategic Studies. Delegates from Mongolia, Russia, China, Japan, ROK and the USA shared their respective views on the importance of UBD in building confidence in NEA and youth participation in the regional cooperation as they drafted the declaration of Northeast Asian Youth Symposium calling for NEA Governments engagement with youth in regional stability and cooperation.